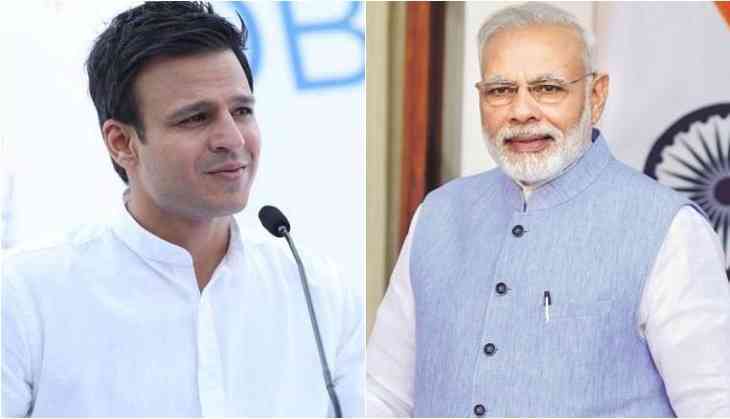 Home Latest Vivek Oberoi To Play The Role Of Narendra Modi In This Film? With Thackeray being the latest film on a popular political figure Balasaheb Thackeray, the next one on the line is said to be a film based on the life of our honourable Prime Minister Narendra Modi. The story of this popular politician and former Chief Minister of Gujarat is the true tale of rags to riches and has caught the fancy of filmmakers not only now but also in the past. Latest reports have it that Omung Kumar is keen on exploring this story and has decided to go ahead with this project and will be joining hands with Vivek Oberoi. As for Vivek Oberoi is concerned, the actor has been of late busy exploring South cinema. From Malayalam to Telugu to Kannada, the actor will feature in a series of films down South and will also be reuniting with his Company co-star Mohanlal in one of them. On the other hand, as for the details of the film with Narendra Modi, we hear that the film will be extensively shot across India. Besides the PM’s hometown Gujarat, it will also be shot in Delhi, Himachal Pradesh and Uttarakhand. While the shoot will be spread across for a few months, the details have not yet been elaborated.